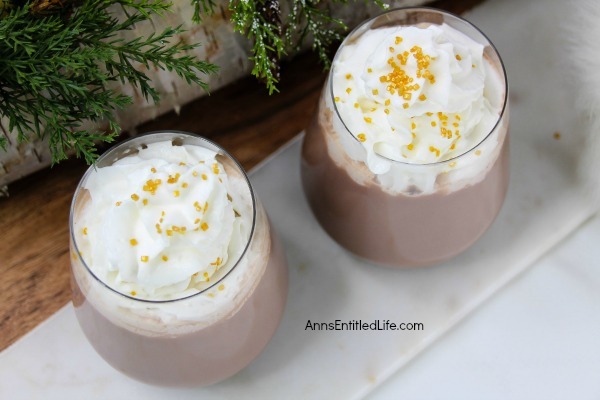 Delicious hot cocoa for adults! 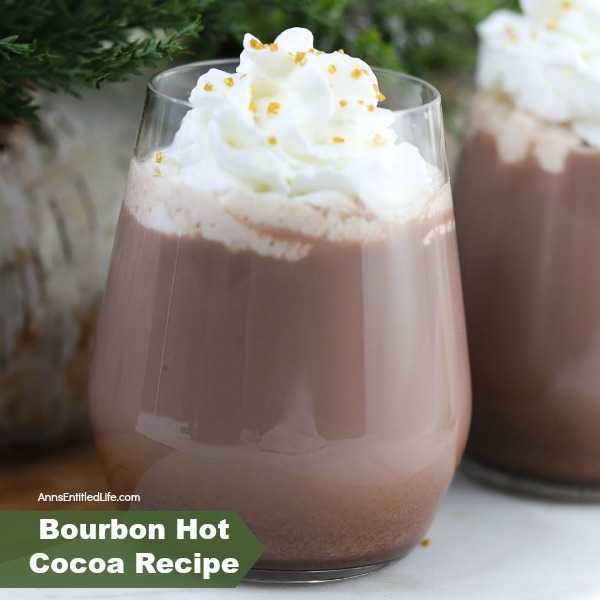 This bourbon hot cocoa recipe is simple to make. 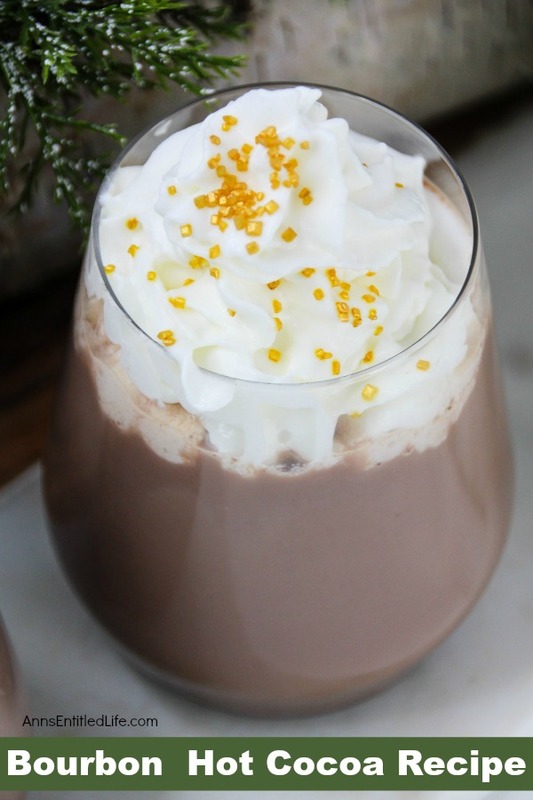 Infused with a hint of orange, this adult hot cocoa beverage is a wonderful treat on a cold night. • Pour milk into a deep saucepan, bring to a simmer. • Add two packets of sugar-free hot cocoa to the milk, stir well. • Pour hot cocoa into a glass. • Add 1 oz Bourbon. • Add ½ oz Triple Sec, stir. • Top with whipped cream and edible glitter. • I made this with sugar-free packets. There is no reason you cannot make the hot cocoa with full sugar packets, or from scratch. • I’ve got this listed as one generous serving, but it could easily be two small servings. • You can use any orange liquor. 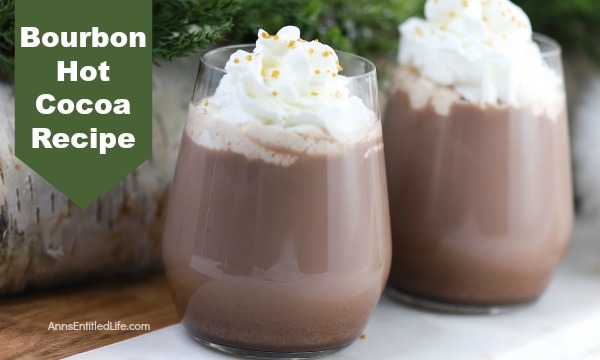 • Kahlua Hot Cocoa Recipe – A rich, decadent, delicious hot cocoa treat, this adult Kahlua Hot Cocoa Recipe tastes divine on a cold winter night. Curl up on the sofa with a mug of Kahlua Hot Cocoa tonight! • For more Cocktails on Ann’s Entitled Life, click here. Yum! I need some KY Bourbon.